My name is Diana Stojanovski (Department of Biochemistry and Molecular Biology) and I am the Chair of a newly established "Women of Bio21" committee. The diversity of Bio21 is undeniably one of the largest strengths of this world-class Institution, but it also means the challenges faced by the women within the Institute are very diverse. ‘Women of Bio21’ has been established to develop and implement strategies to promote the participation, visibility and development of women across all levels and disciplines within the Institute. The Terms Of Reference highlight out purpose and the current committee membership. Our first committee meeting was held on 20 February, 2018. At present we have created a short-list of ideas and policies that will be refined and developed during the year. Our first initiative is aimed at celebrating the women of Bio21 through a collection of "mini-profiles". Women from across the Institute (different careers, career stages, disciplines, etc) will be profiled on a fortnightly basis. Mini profiles will be advertised internally via email, and externally through social media. I am very grateful to the Bio21 External Relations Officer, Florienne Loder who will assist with this initiative. Below you will find our first mini profile, on yours truly, Me :-). We thought I could be the guinea pig, but also that this represents a nice opportunity for you all to get to know something about me. 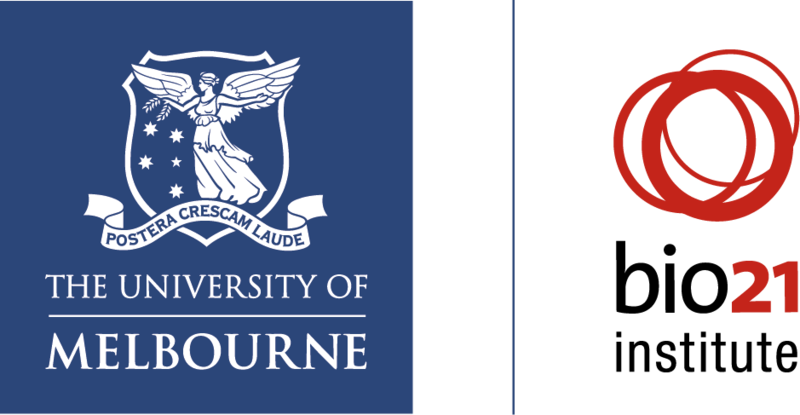 I invite you all (men and women) to relay any ideas or suggestions to d.stojanovski [at] unimelb.edu.au (myself) and/or other committee members. We currently have 8 members, but are open to additional members, especially if you are not from our current represented groups (Biochemistry, Chemistry, Melbourne Dental). My lab's mission is to create new knowledge in mitochondrial biology to improve understanding of the inner workings of the most fundamental unit in life, the cell. Our research aims to understand how mitochondrial proteins are trafficked within cells, and how failure in protein trafficking leads to disease. Follow link to read more. Read about the Amazing Women of Bio21 in past news items on the Bio21 website. Pioneering women zoologists and explorers played an instrumental role in natural history collections around the world. Read on Pursuit website. Major article in PNAS. Miriam Gay-Antaki and Diana Liverman 2018. Climate for women in climate science: Women scientists and the Intergovernmental Panel on Climate Change. Read online. 'Masculine culture' and micro barriers still major issues for women’. Read the Age online. Watch your language - How job advertisements are written matters when it comes to attracting more women scientists. Race- and gender-based bias persists in US science - Many researchers face discrimination at work — perhaps in higher proportions than do those in other professions. Curtin and UOW 'Employers of Choice' for gender equality For the fourth year running, Curtin University has been named an Employer of Choice for Gender Equality by the Workplace Gender Equality Agency (WGEA). The citation is awarded to universities that demonstrate a commitment to achieving gender equality, and aims to encourage better practises in the workplace. Curtin vice-chancellor Professor Deborah Terry said she was delighted with the news. “Improving gender …Read more.